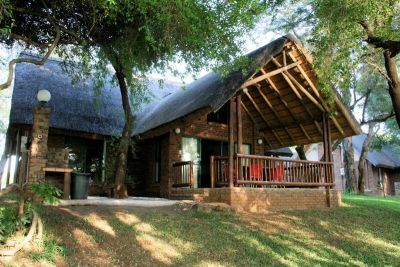 After a leisurely drive from Alberton through the beautiful Lowveld we arrived at Ekuthuleni resort a few minutes after check in time which is at 16:00. The friendly security staff directed us to reception where resort manager, Johan Kruger, came out to meet us. At that point we were already impressed as we had driven past a row of very comfortable looking chalets under shady trees, giving it a real in-the-bush atmosphere. Looking between the chalets we could see the Olifants river which meant that we had a good chance of getting a river view chalet. 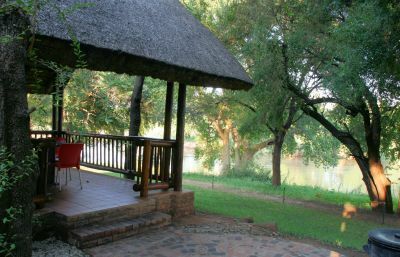 The reception area is situated on a small hill with a magnificent view of the surrounding bush as well as the river. Checking is was quick and efficient and we were chatting with Johan as if we were old friends. He gave us information on facilities at the lodge as well as ideas on what to do and see in the area. He reminded us that this was a malaria area so the necessary medication is required. 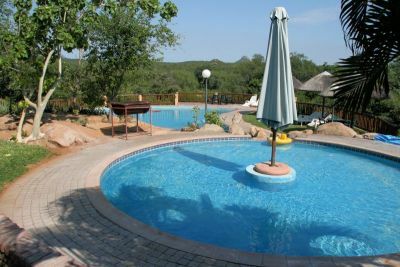 The resort boasts a sparkling pool as well as kiddies pool in a beautiful setting. A games room has pool, table tennis and darts facilities to keep one occupied. I must mention that the resort has good cellphone reception as well as wi-fi internet access in the reception area. That was a big plus point with me personally! We arrived at our chalet and I was glad to see there was good undercover parking right by the door, also important to me. 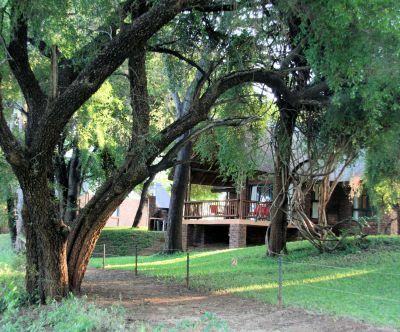 The road is tarred right up to the door of the chalet which means that can enjoy a bush holiday with the family sedan. As the resort is fully self catering I was glad that we only had to carry our provisions a very short way! Women just love to bring everything along, not thinking that it all has to be packed, unpacked and carried as well. There is a very basic tuck shop at reception so one has to be totally self sufficient. Firewood or charcoal can be purchased on the premises. The closest restaurant is at a lodge about 3 kms away or in Hoedspruit 25 kms away. We booked for the afternoon game drive and had a most enjoyable trip through the reserve, spotting a variety of antelope as well as some giraffe. Our chalet was one big wow factor. It was wheelchair friendly with grab handles for disabled persons in the one bathroom. It was a 6 sleeper chalet with two en-suite bedrooms and two further beds in a loft area. 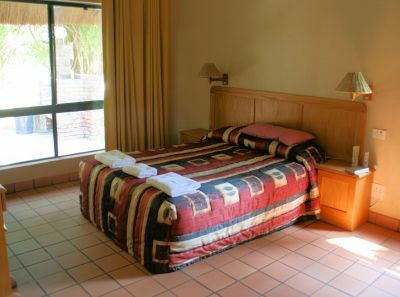 The bedrooms were airconditioned and also had a fan. The loft and open plan kitchen, dining room and lounge area also share an air conditioner. The chalet was fully equipped for self catering, we just moved in, unpacked our stuff and commenced with our relaxing. We could also watch Super 14 rugby as well as our soapies on the TV in the lounge. 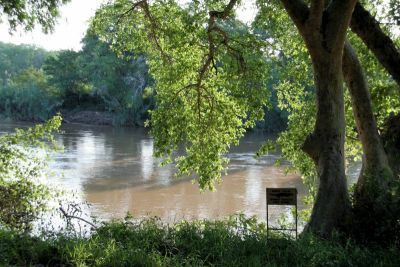 The biggest WOW was reserved for the deck overlooking the Olifants river that flowed past the row of chalets. A really nice barbeque was right next to the deck. Nothing can beat sitting on your deck enjoying sundowners and watching the sun set over the river. The resident collection of hippos provided entertainment with their blowing and grunting. The next day saw us taking it easy, after all, we were on holiday! The plan was to get up very early the next morning and head for the Orpen gate of Kruger National Park. The Kruger Park visit was most enjoyable. We left the lodge very early and after an hour’s drive entered Kruger through the Orpen gate. We were lucky to see four of the Big 5 and were also surprised with a rare cheetah sighting. We picnicked at the Timbavati picnic site, watched by two bushbuck that roam in the area. We arrived back at the lodge late in the afternoon and had sundowners on the deck while waiting for the barbeque coals to get ready. After supper we downloaded the photos that we had taken so far on our laptops and then hit the hay after a most pleasant but tiring day. Different people like different things, to me a really nice touch was the free wi-fi internet access at the reception area. This was the first timeshare resort that we had ever visited that had free internet access and for someone who likes to check email on a regular basis, this was a major plus point. I suggested that they install a coffee machine there and create a mini internet café. 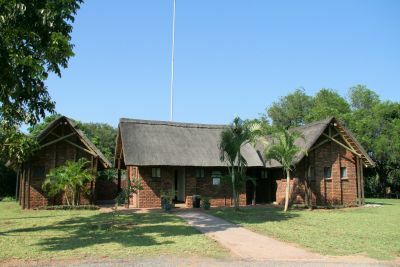 One of the very special places in the area that is a must to visit is the Moholoholo Wildlife Rehabilitation Centre. They are a non profit organization and do wonderful work in the rehabilitation of injured wildlife as well as the preservation of endangered species. A really worthwhile place to visit and the entrance fee you pay will help them in their worthwhile cause. We arranged to go on an afternoon game drive at the nearby Tshukudu Game Reserve where we were treated to some really up close rhino and lion sightings giving us the opportunity to get some really nice photos. 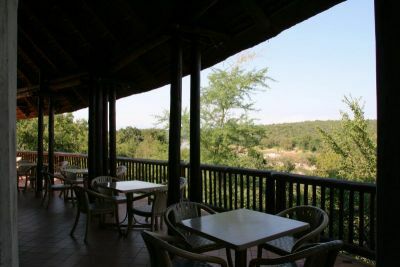 We took another trip to Kruger, this time through the Phalaborwa gate, picnicking at the Olifants restcamp. To fully appreciate a resort like Ekuthuleni, one has to stay longer than a week. 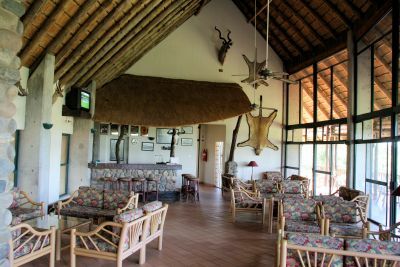 With Kruger Park within easy reach and all the interesting places to visit in the area one does not have much time to just relax and enjoy the special bush experience. Next time we come to Ekuthuleni we will be taking it much easier and just relax and soak up the wonderful atmosphere.